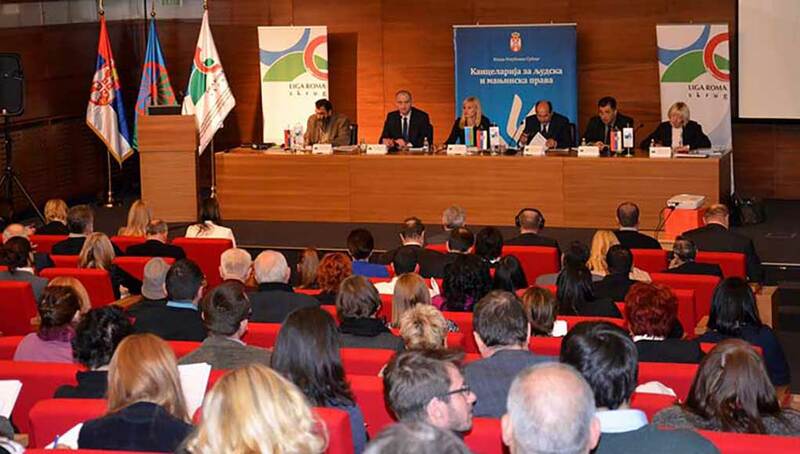 Law Scanner attended the conference „Towards a new strategy for improving the situation of Roma“ held on Monday 9 February 2015 in the Club of Assembly Deputies. The conference was organized by the Office for Human and Minority Rights of the Government of the Republic of Serbia and the Conference of Roma civil associations (SKRUG) – League of Roma in cooperation with the Foundation for an Open Society Serbia. The conference presented „Baseline Study for the development of a new Strategy for Roma Inclusion“, which is compliant with the „Europe 2020 Strategy“. The new strategy proposes that the measure of social inclusion of Roma would be achieved through four public policy or four strategic areas in the period up to 2025. One theme was dedicated to health.